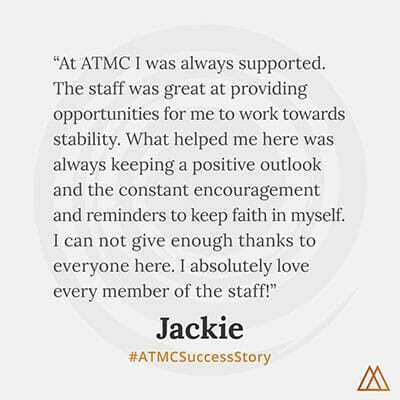 This entry was posted in Recovery, Success Story on June 23, 2008 by ATMC Team. … the food is fantastic; I have absolutely no complaints about my experience! This was, first and foremost, one of the best educational experiences I could have ever had! Very educational, informative, and such an eye opener for me to the real world and what is actually happening in it. I am sad to see that so many adolescent individuals are in the crisis of addiction! However, I am glad to have received help and to see other getting help for their recovery too. Whether old or young though, I feel this is a very competent and attentive staff capable of handling any situation in a safe manner. Additionally, the food is fantastic; I have absolutely no complaints about my experience!